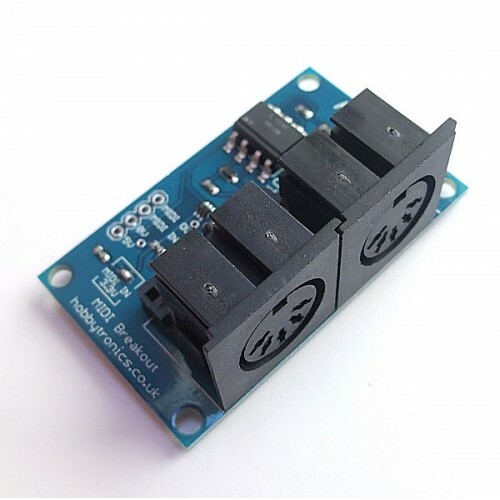 The MIDI Breakout Board gives you access to the MIDI communication protocol, so you can control synthesizers, sequencers, and other musical devices. The MIDI Breakout Board provides an opto-isolated MIDI-IN port as well as a MIDI-OUT port, and works at both 5V and 3.3V logic levels for easy communication with virtually all microcontroller boards. 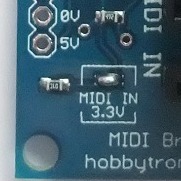 By default, the MIDI Breakout Board operates at 5V logic levels. 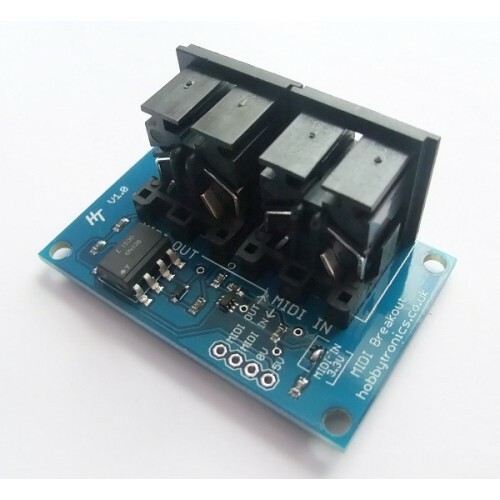 To use 3.3V logic, simply solder across the 3.3V jumper. 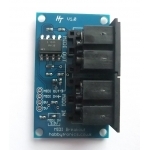 Note: Although the board will work with 3.3V logic on MIDI-IN and MIDI-OUT, it still requires a 5V supply.